Beautifully written and so honest. My son spent one night in the NICU and my husband and I spoke all of 2 words to eachother until morning when it turned out to be “nothing” serious. Each of us going through our own personal hells wondering what we'd done, what our partners had done, or why God was punishing us. It was an eye opening and life changing experience. You said this perfectly Kerri and will say I think as parents in general we blame ourselves for things we did and din't do rationally and irrationally, too. So, on that end, can truly get the point you are making here and yes I too have been there in the past myself with both my girls. Like Toni Braxton and you and every other parent of a child born with special needs, I also wondered if it was punishment for something wrong from the past. She shouldn't be castigated for admitting those feelings. Maybe if we all admitted them and then told how God has changed us as parents of kids with special needs, others would begin to see our kids as the blessings they are. Jolene…YES!!!! That is perfect. That by being out there with our fears and our joys we are showing others what a blessing our kiddos are. I think that's a natural thought when we first find out that something is wrong. I haven't read the book so I can't really comment on whether or not I think she was wrong for saying that. Maybe people are making a bigger deal out of it than they need to. Lord knows I've certainly whined at and questioned God! There's no reason for people to be calling her out on this. I know I wondered for days what I had done to cause Owen's Down syndrome. Like you said, we have all wondered the why of our situations and if someone says they haven't, they're lying. It's a human response and she's entitled to it. This is a really beautiful post, and I love how true and open it is. I applaud you for having the courage to publish it and I appreciate that you did. I love reading this and, while I can't truly relate, I can understand. Thank you, friend! Bravo! I agree with you. 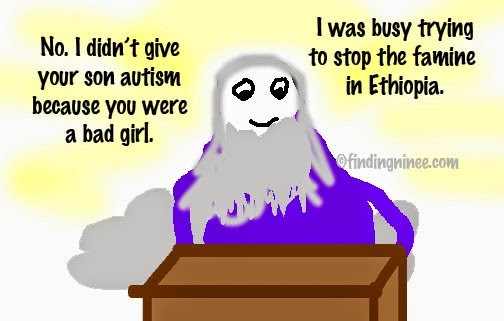 I remember sitting in church, after we got our autism diagnosis and the priest was preaching about the sins of the fathers being reaped on their children. I got up and walked out. For a long time I was convinced that I did this. I think is human nature (and Catholic guilt) and the fight or flight we go into when something like this happens all played a part. But eventually, I was able to let those feelings go. It's our nature to ask “why” – we are always trying to make sense of our world. I agree with you, Kerri, and I think if people took a few minutes to think about what Braxton said, they may come to the same conclusion. I'm glad you took a stand and wrote this! 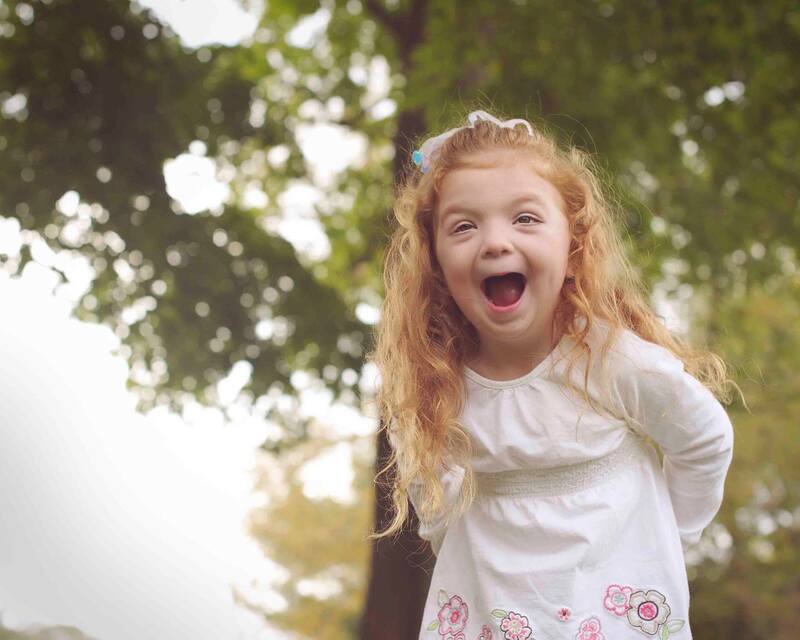 In John 9, Jesus says that people have disabilities so the works of God can be shown through them. It seems these days we aren't very good at hearing people's stories and feelings without believing we have the right to have our say about whether they were right to do so or not. I think I will only truly believe the authenticity of a parent's claims to finding hope, contentment or peace if I first hear their struggles with doubt, grief and confusion. As for John 9…not sure about that one.